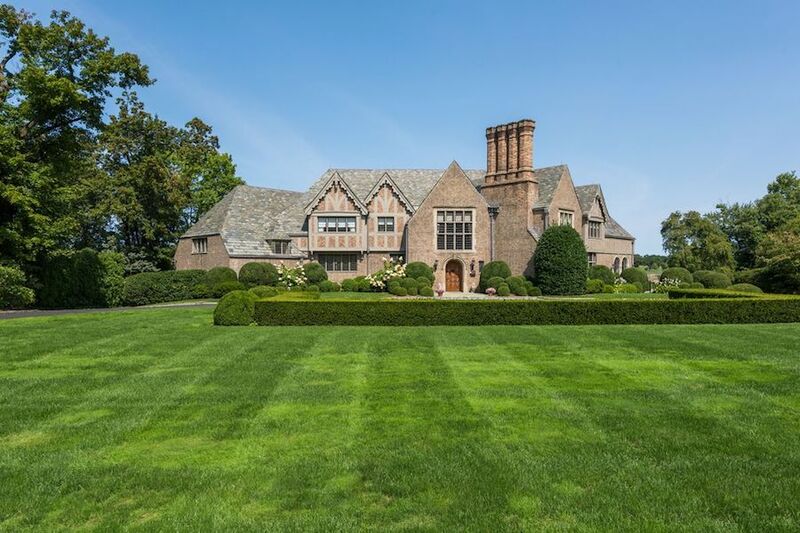 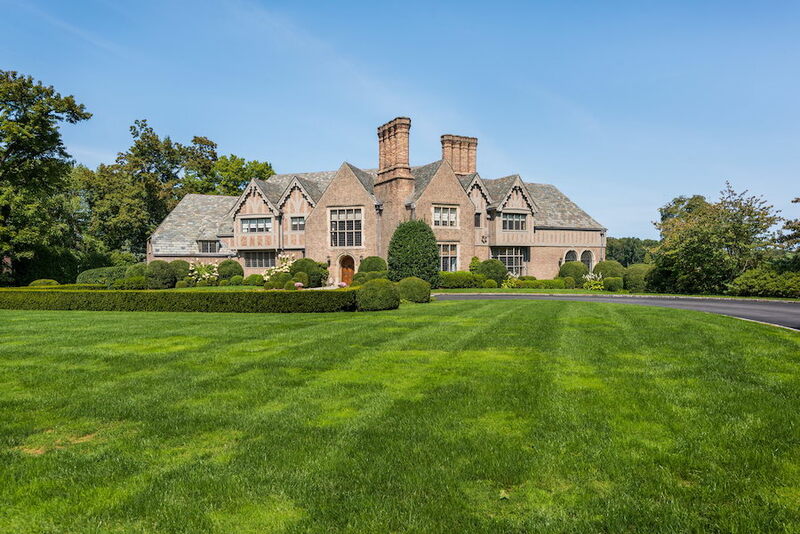 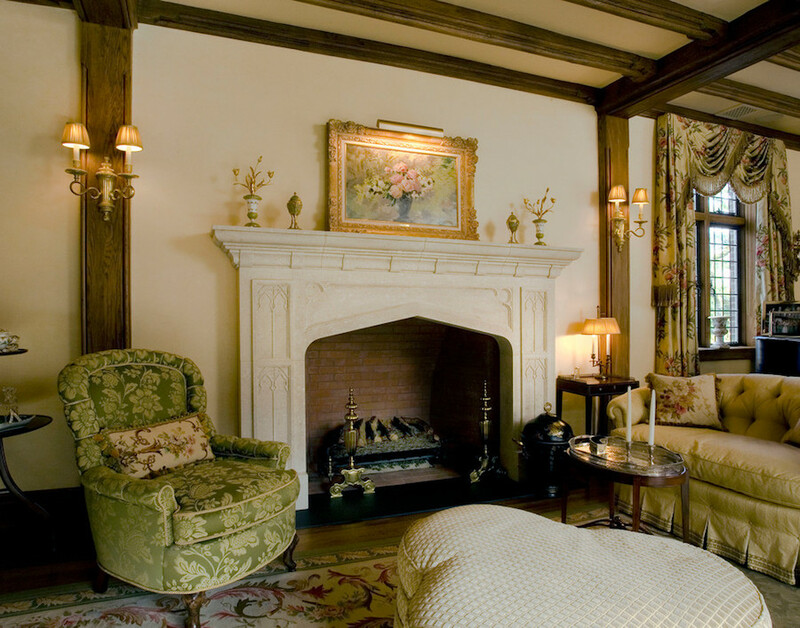 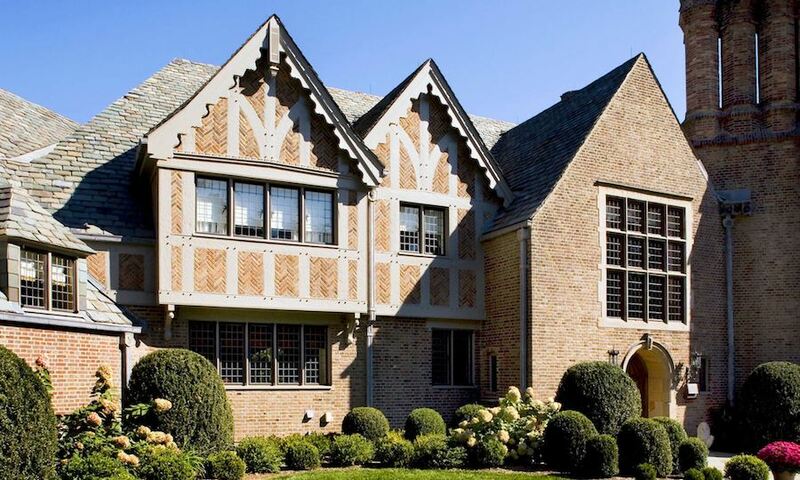 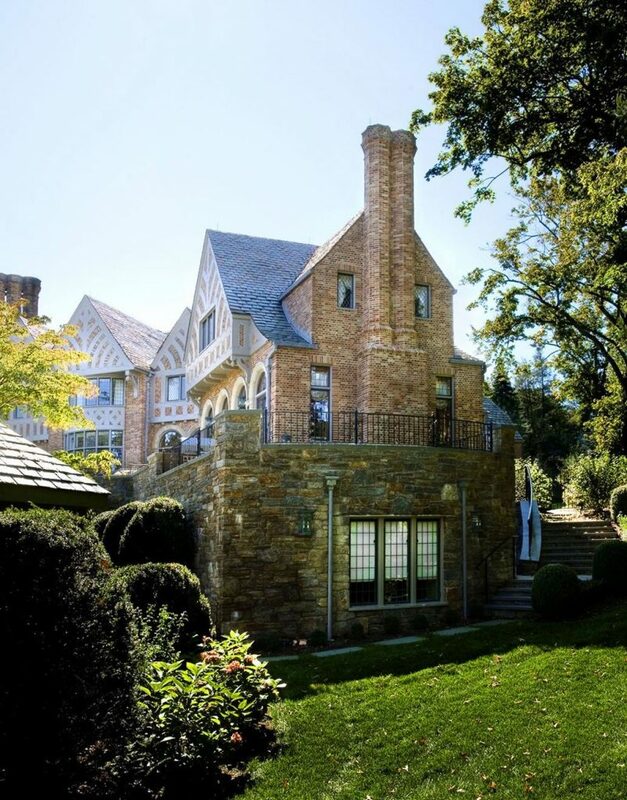 A grand asymmetrical plan, steeply pitched gables, half-timbering on the upper floor and elaborate masonry chimneys – all characteristics of a Tudor-style home and all defining elements of this historic Tudor Revival. 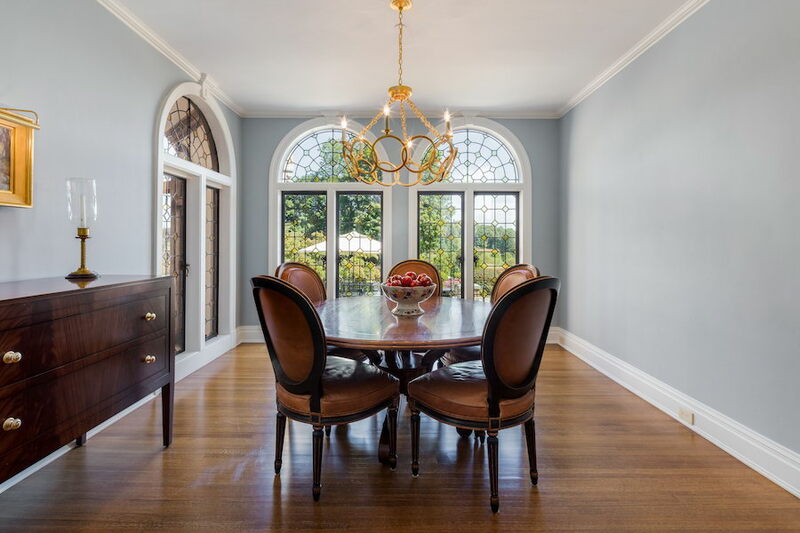 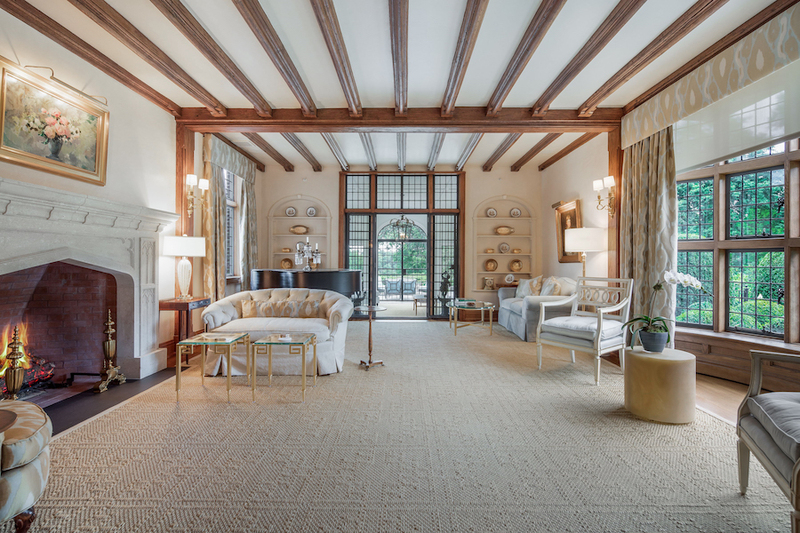 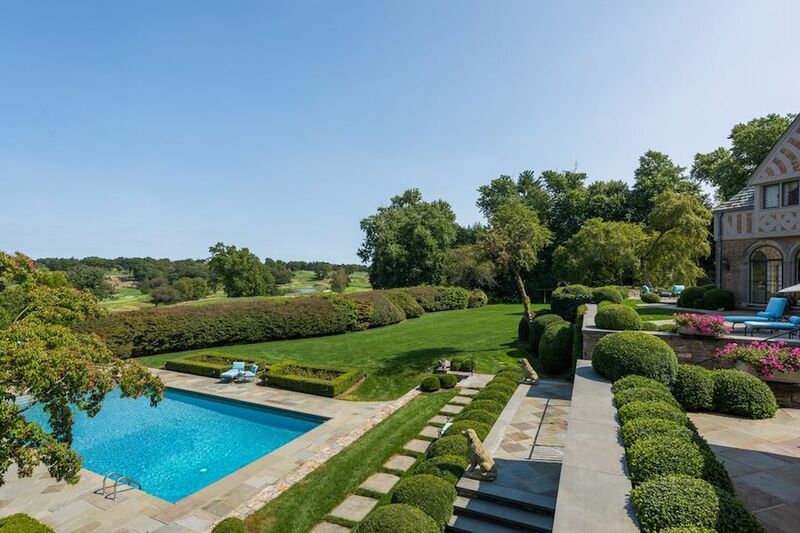 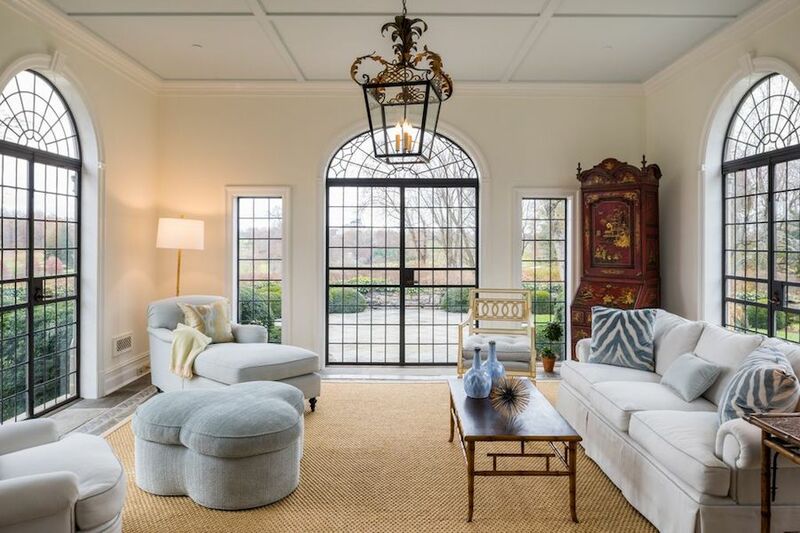 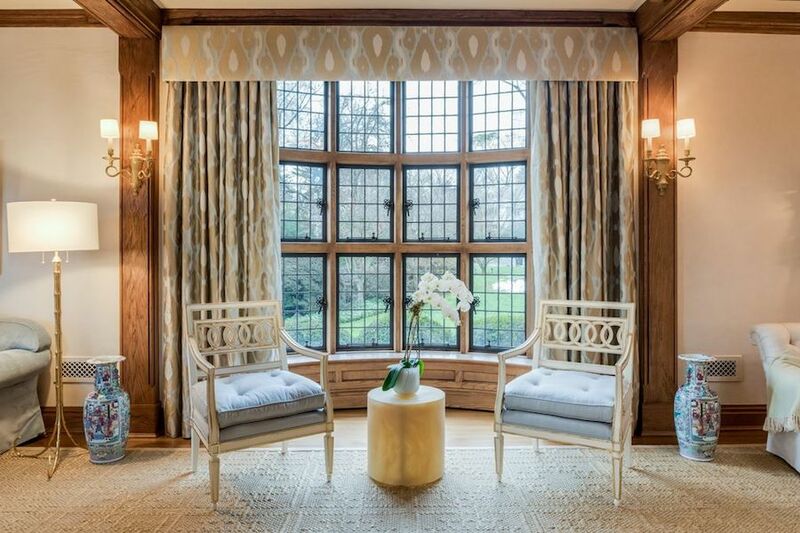 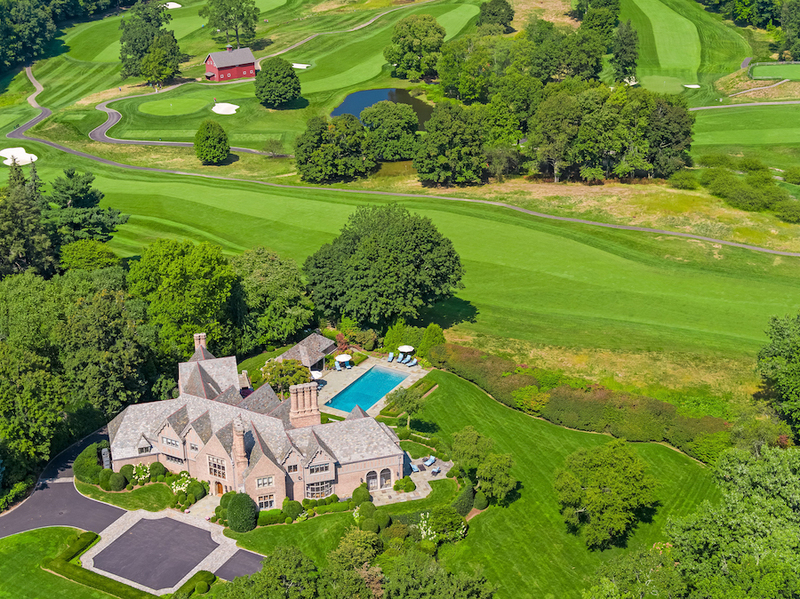 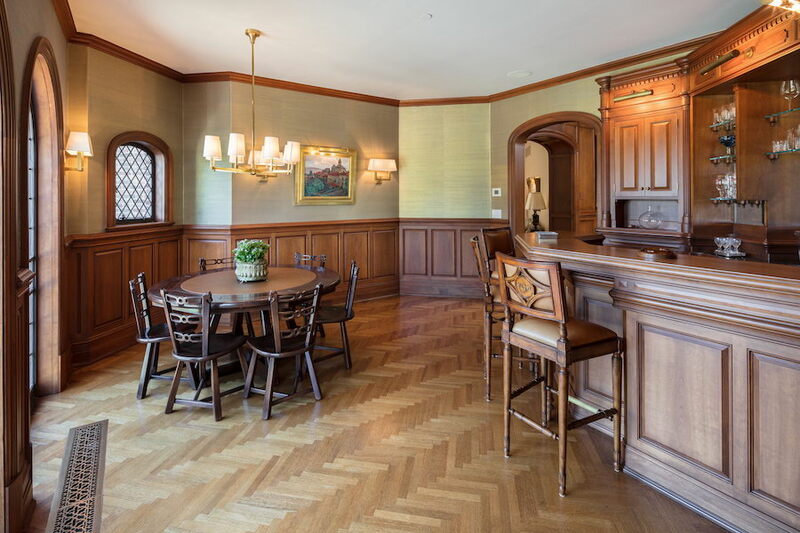 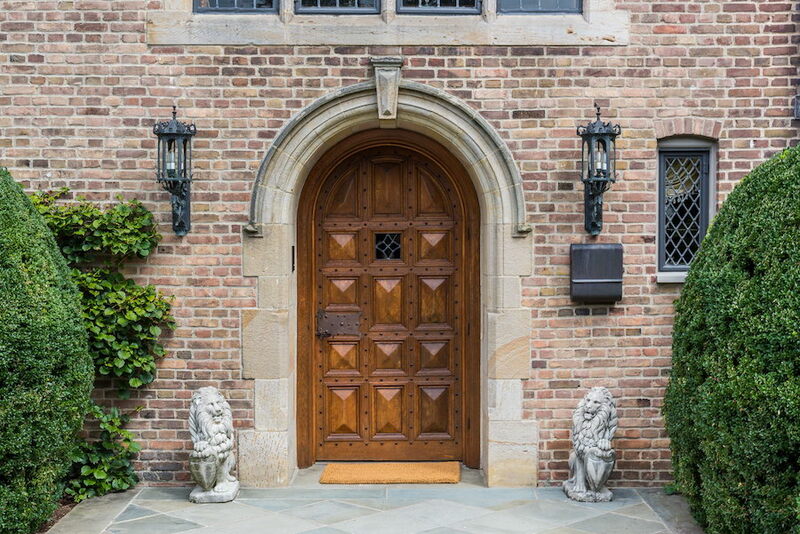 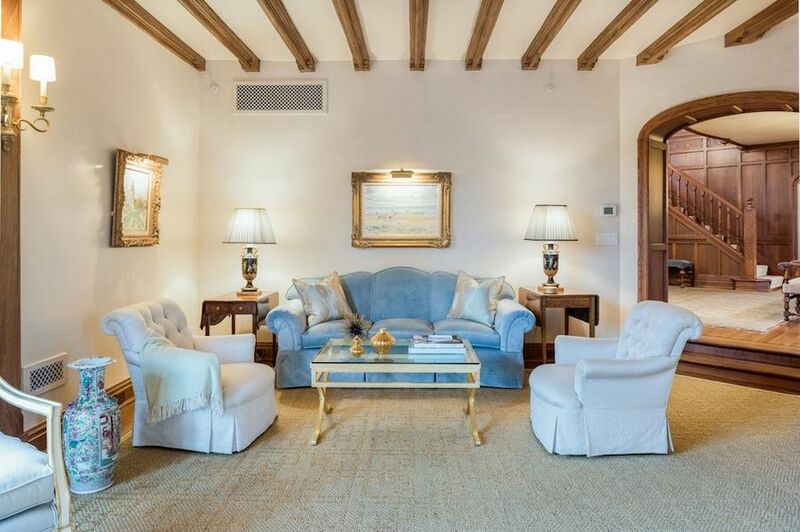 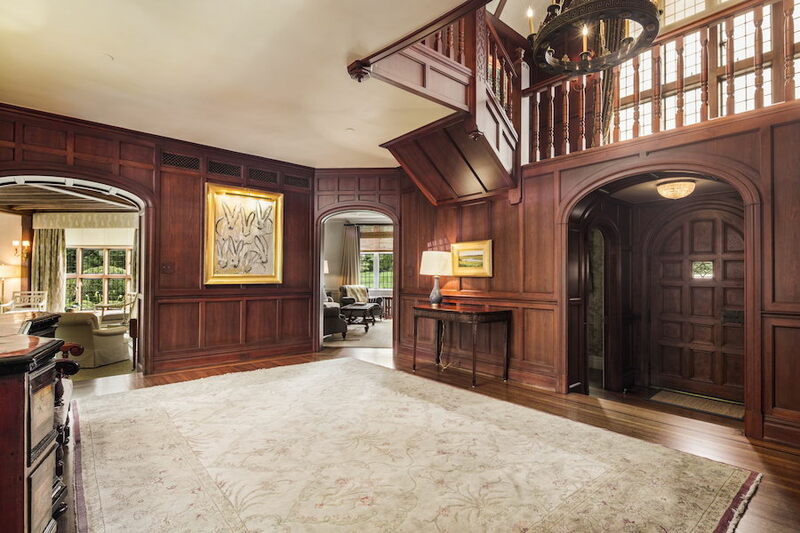 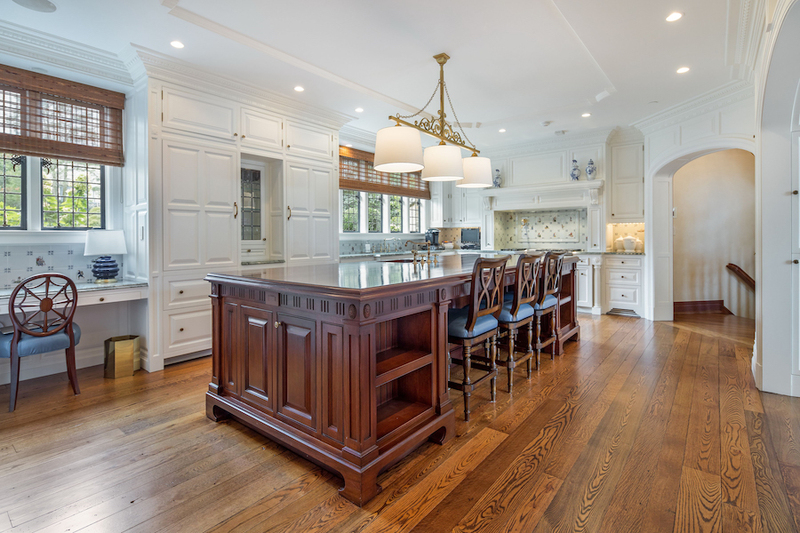 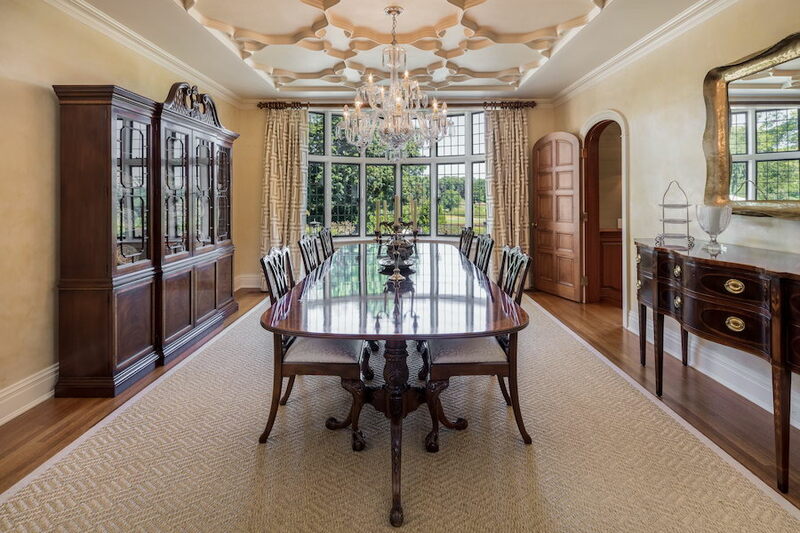 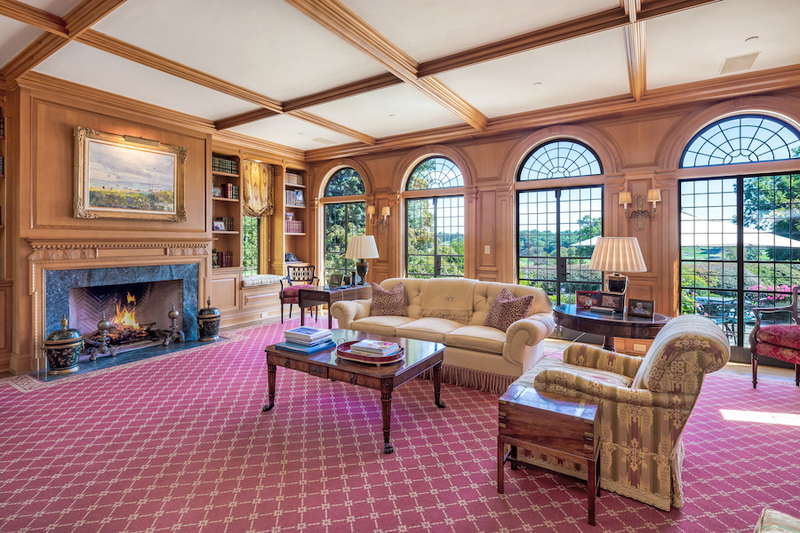 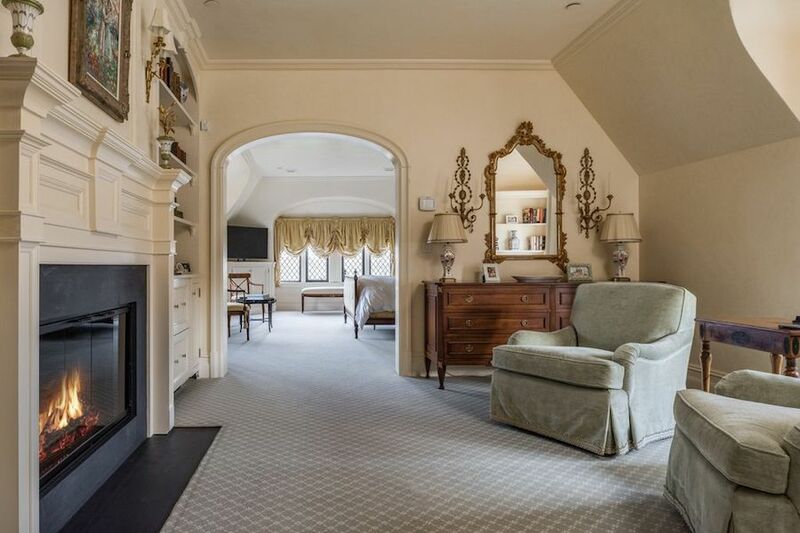 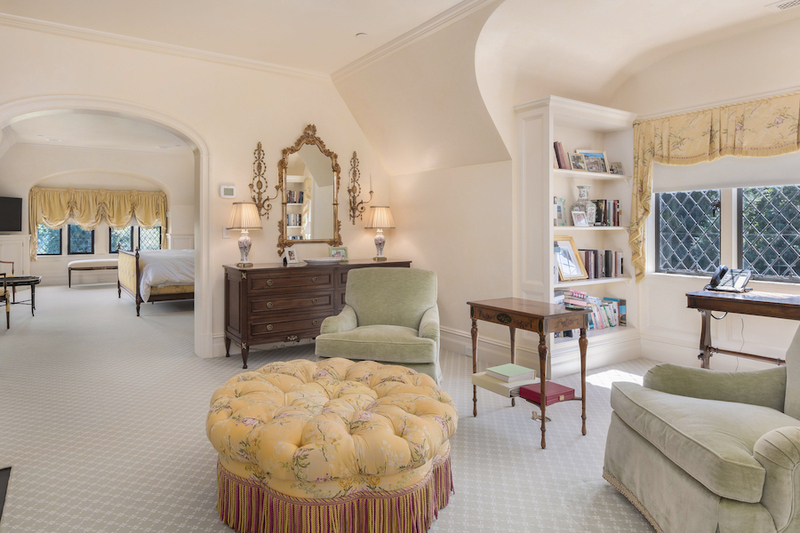 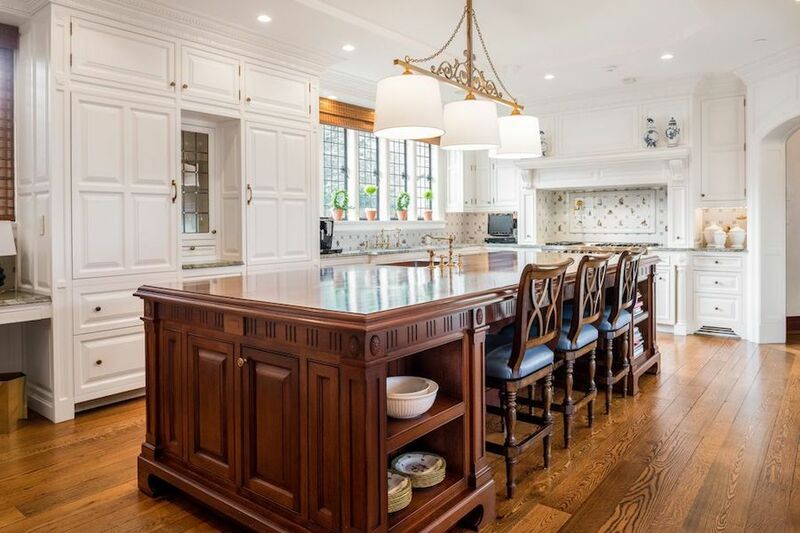 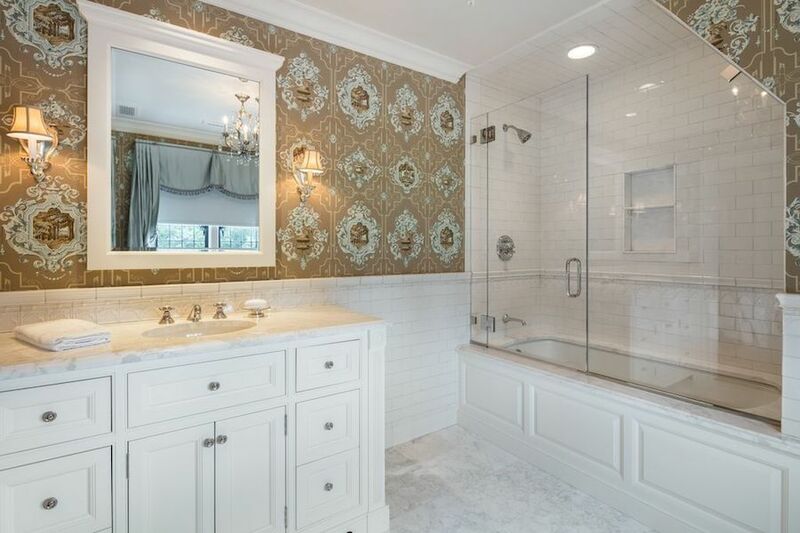 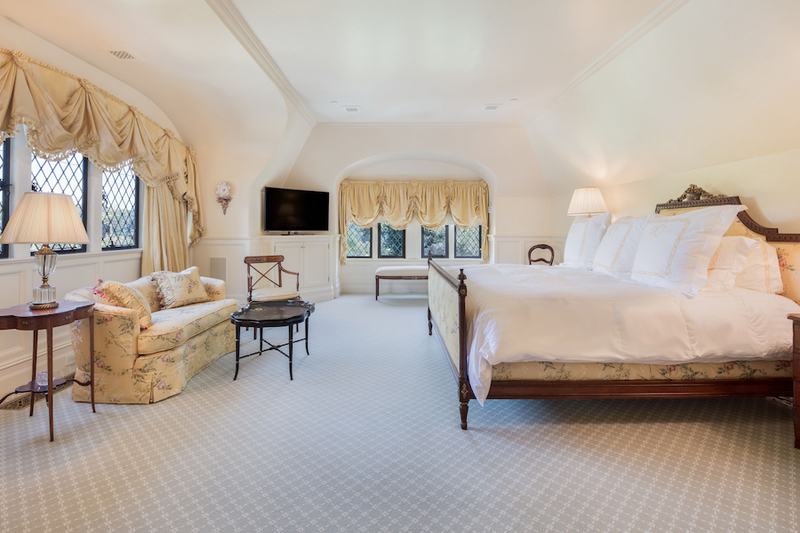 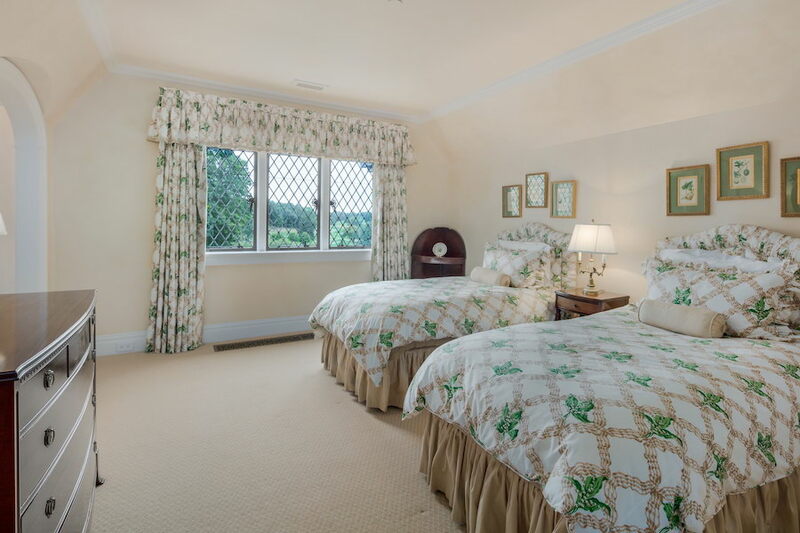 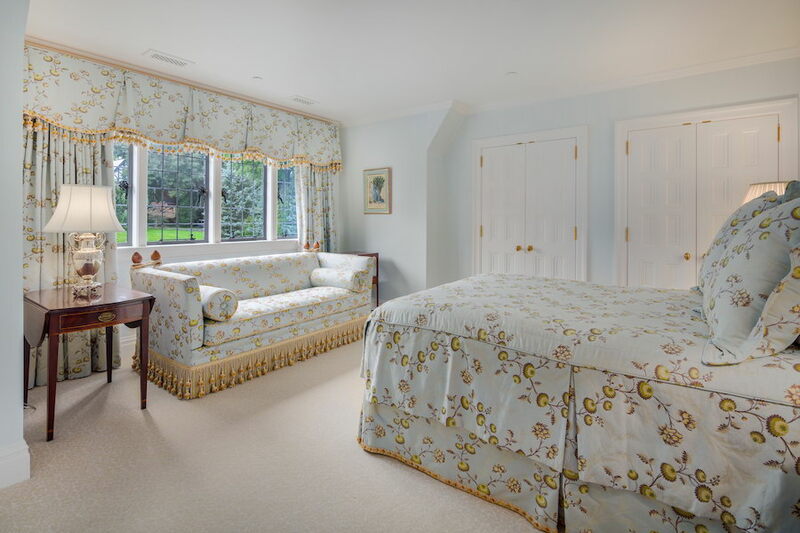 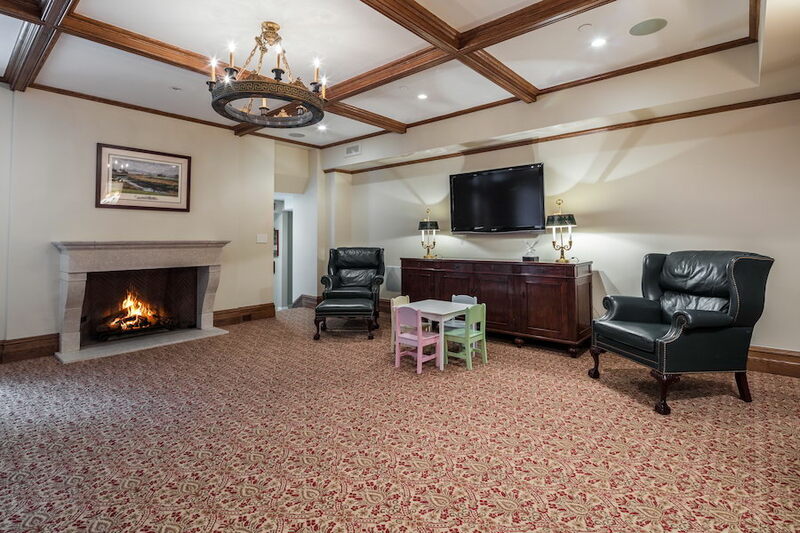 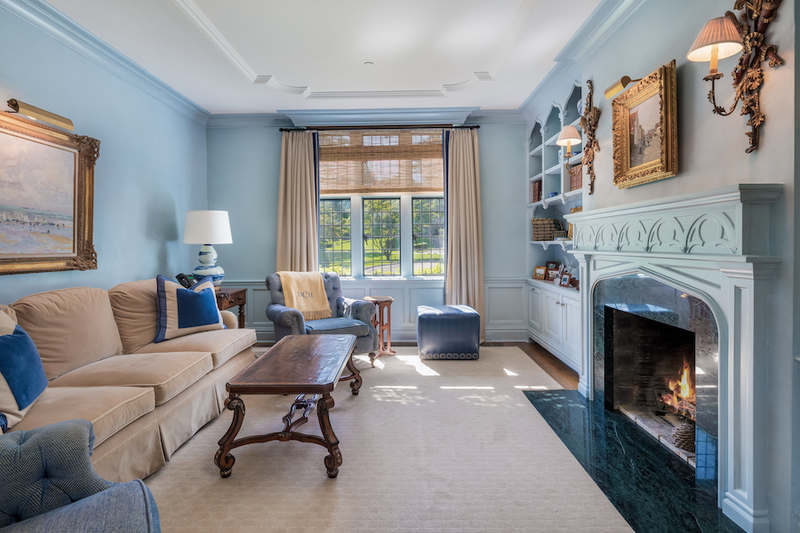 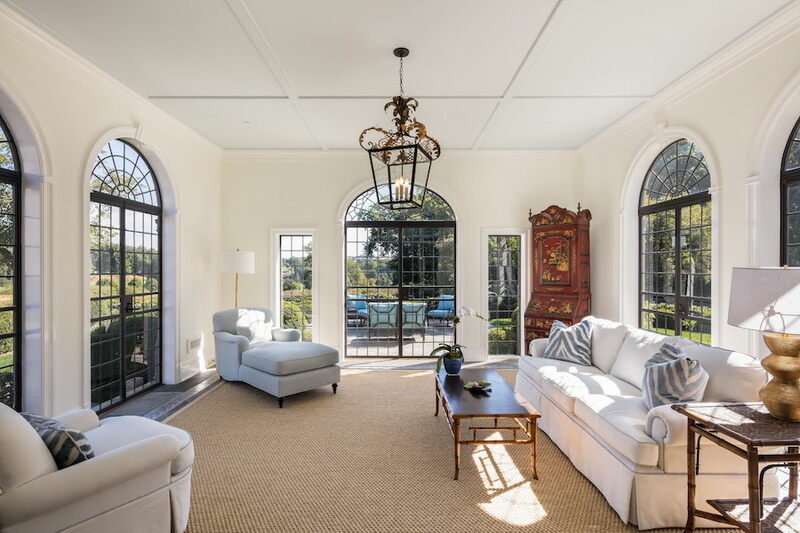 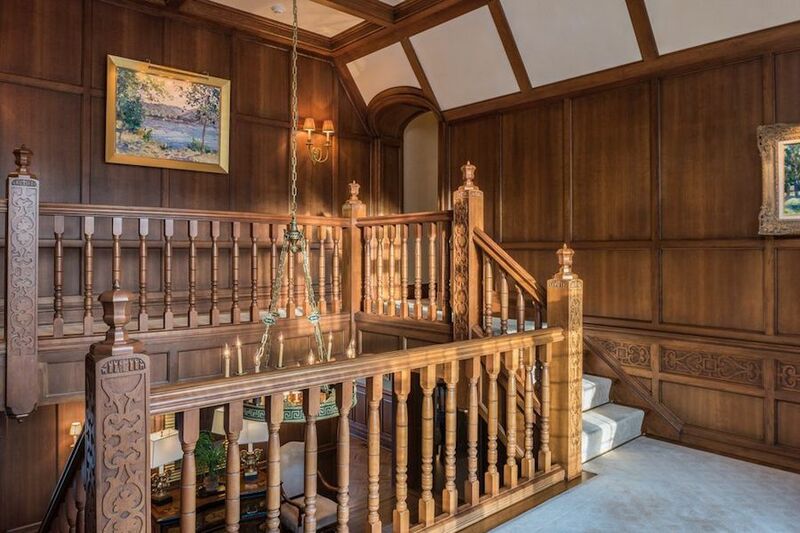 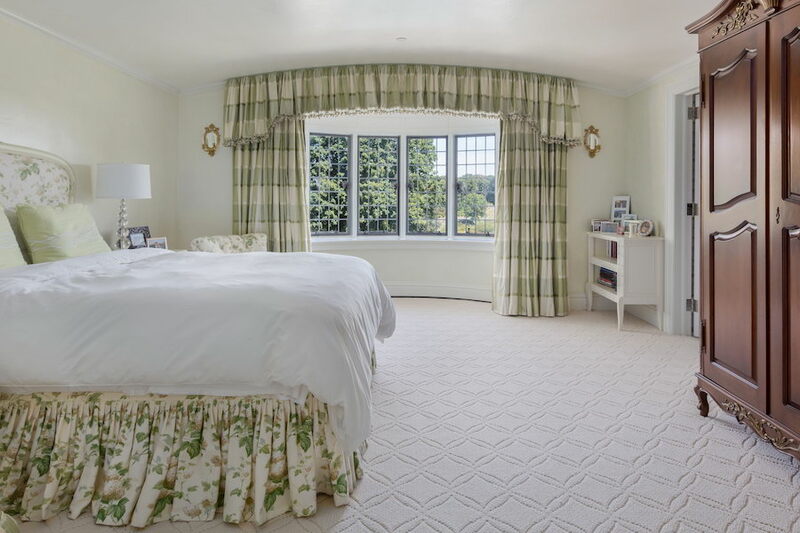 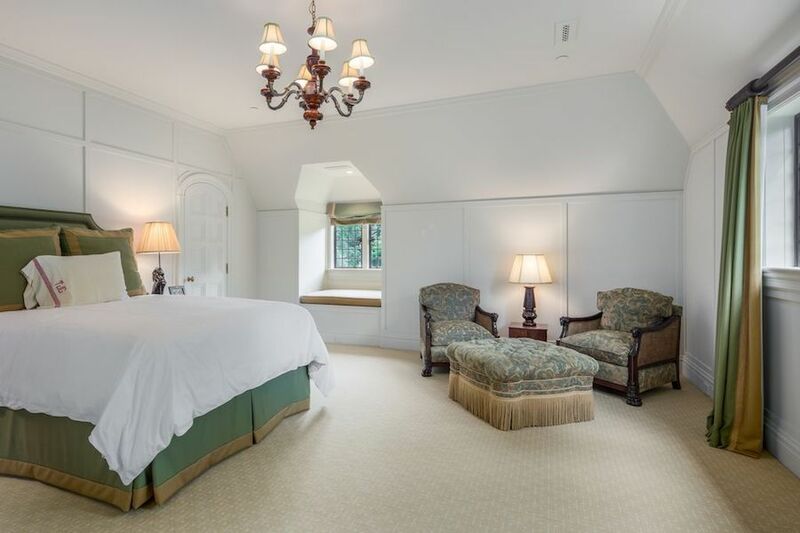 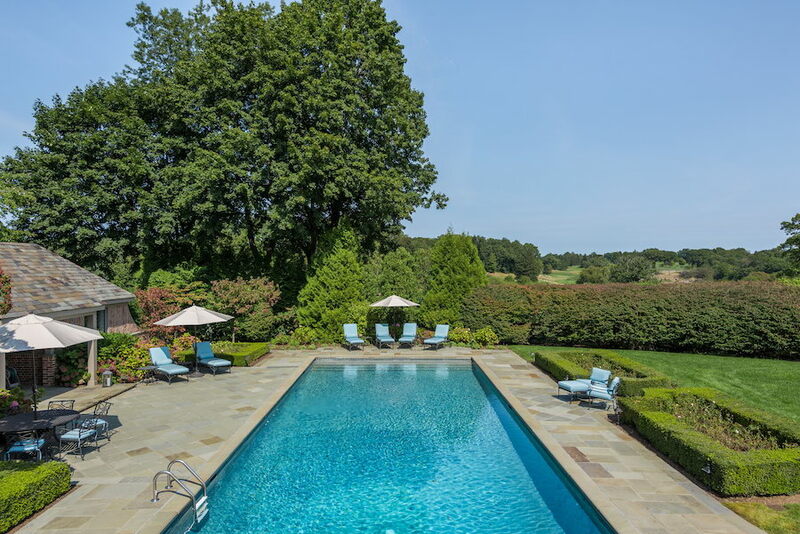 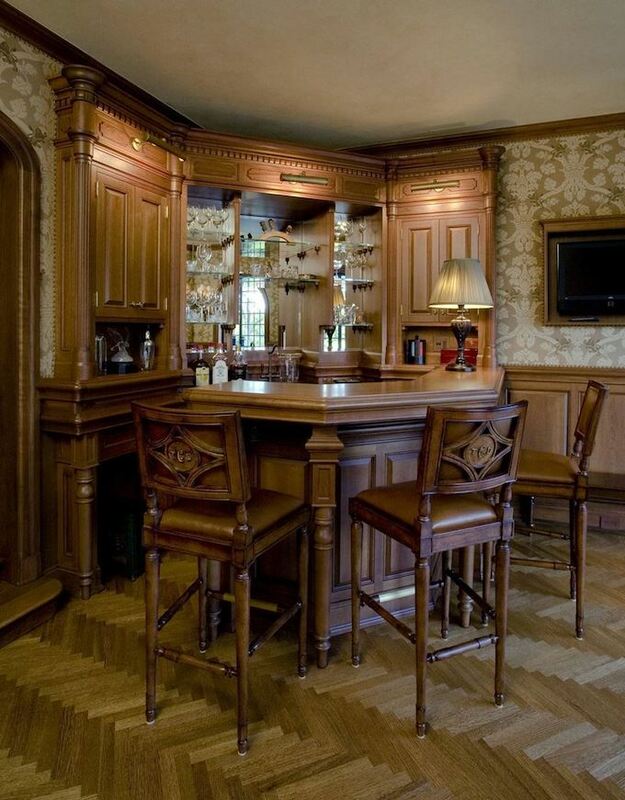 Sitting on a 2.09 acre property overlooking the South Course and Westchester Country Club Clubhouse, this 11,570 square foot home dates to c.1929 and was redesigned and expanded by noted architect Ralph Mackin of Mackin Architects, PLLC between 2004 and 2007. 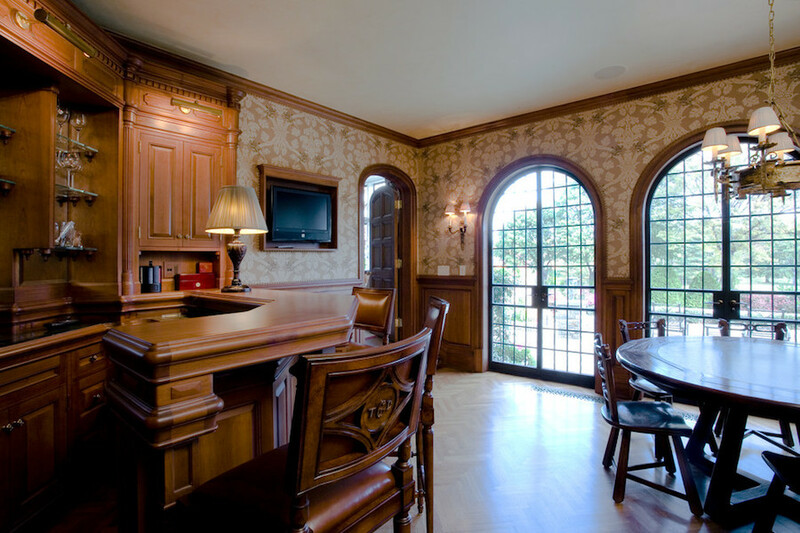 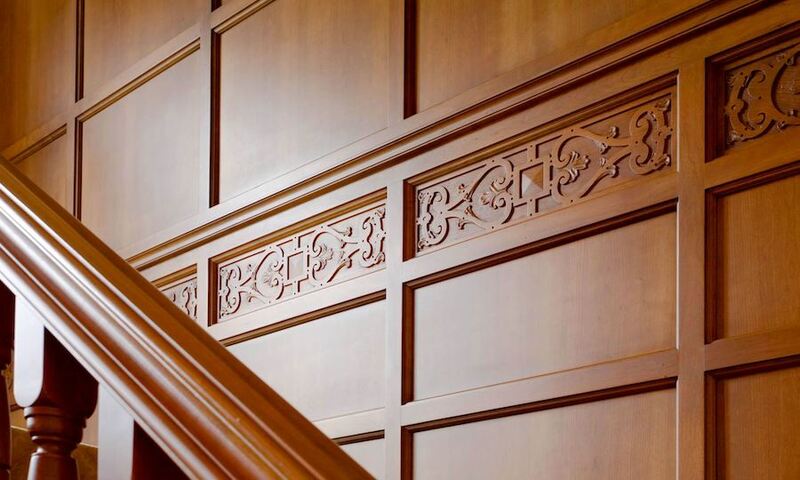 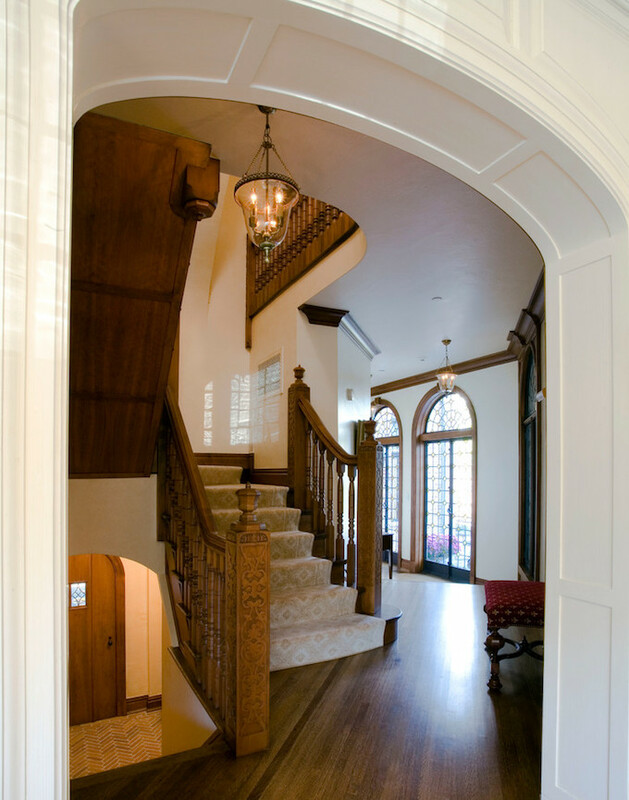 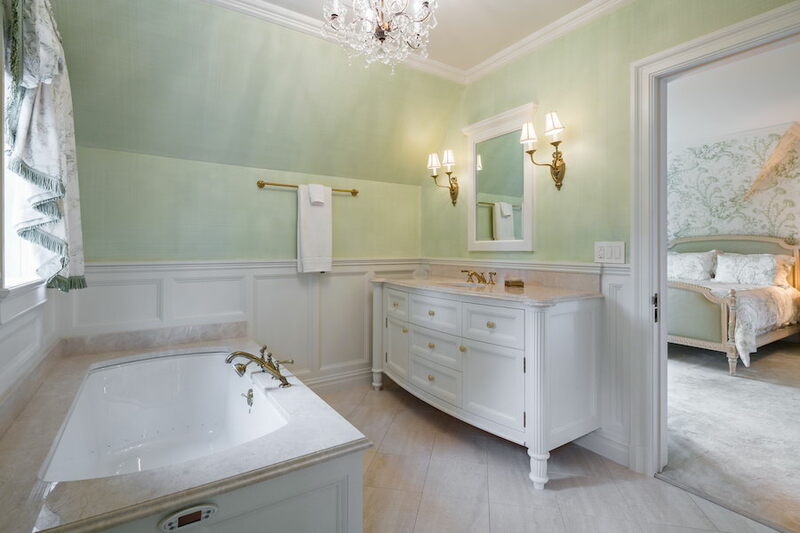 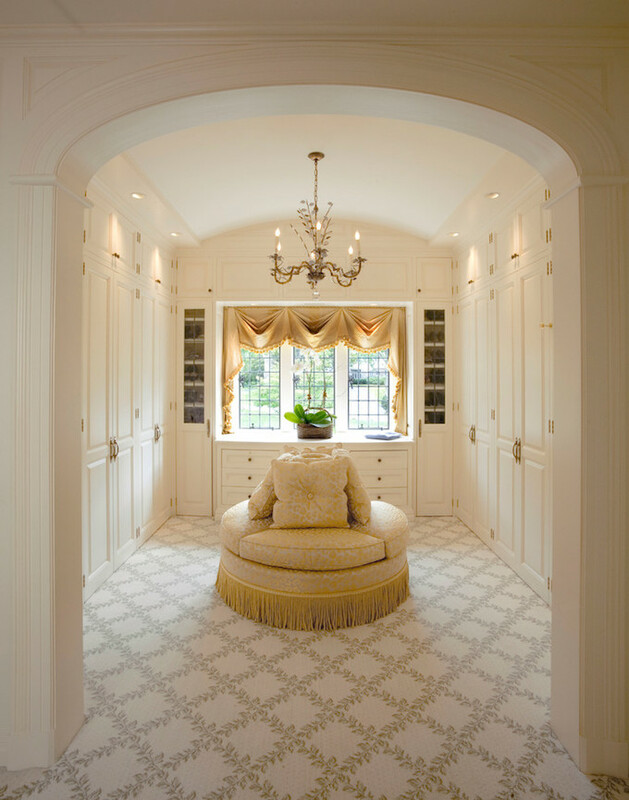 Mackin is known for creating residences rich in historic references matched with well-proportioned living spaces. 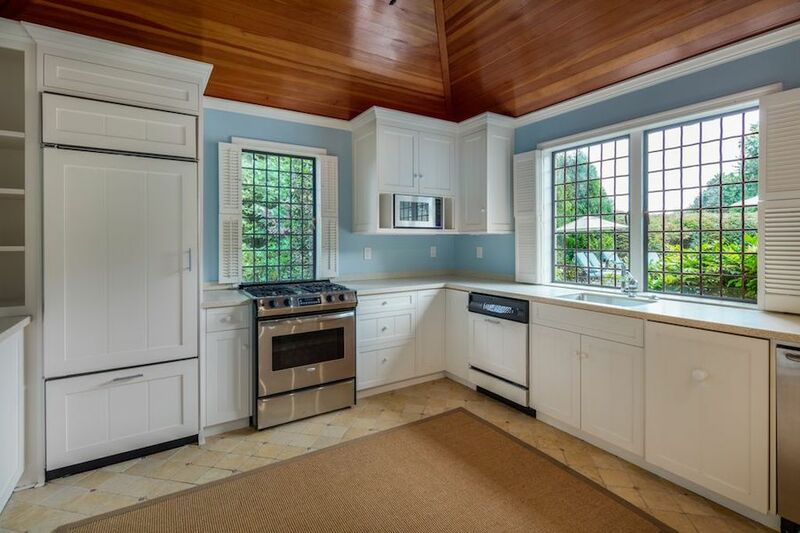 The result of this extensive renovation is a completely updated move-in ready home with detail of a bygone era. 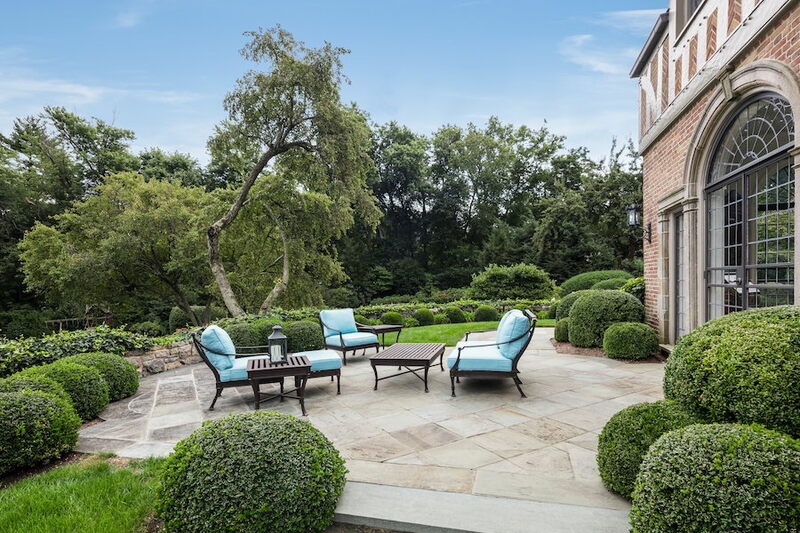 Details include six bedrooms, nine bathrooms, fine woodworking, extensive mouldings, plaster finishes, quarter-sawn oak flooring, a gourmet kitchen, dining room with tracery ceiling and a beamed living room that opens to a garden room and terrace. 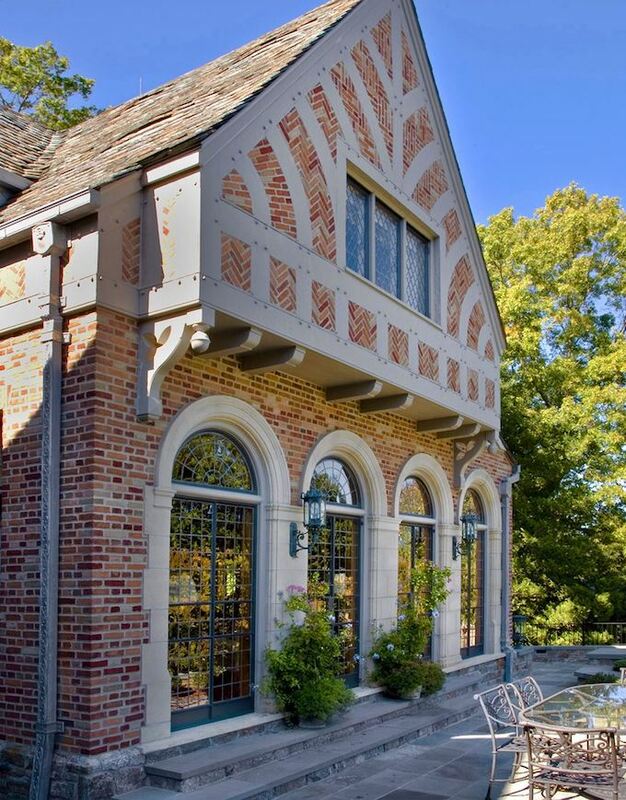 Mackin Architects also completely updated the exterior, which turned out to be a bit of a struggle. 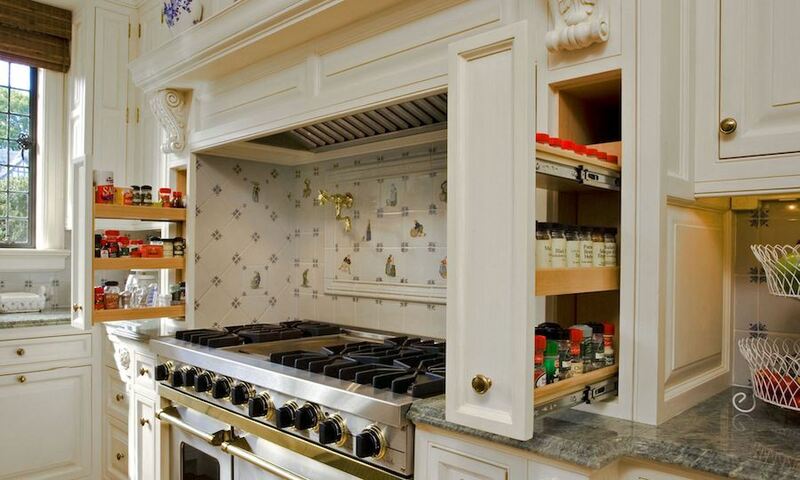 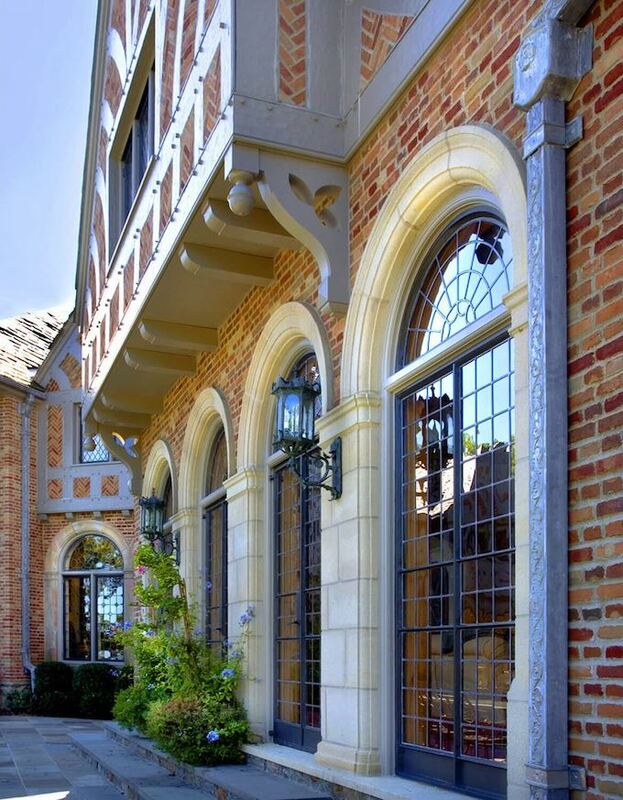 The original bricks were no longer in production and were sourced to the original manufacturers, who agreed to make a batch for the home’s renovation. 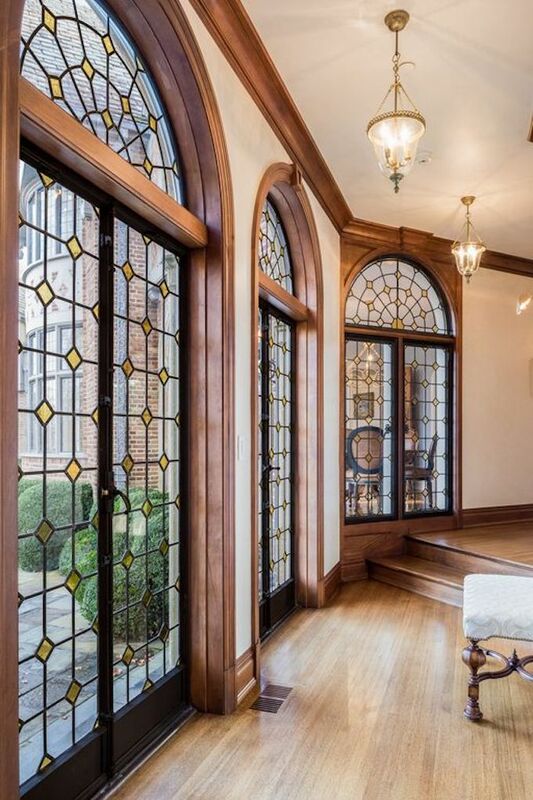 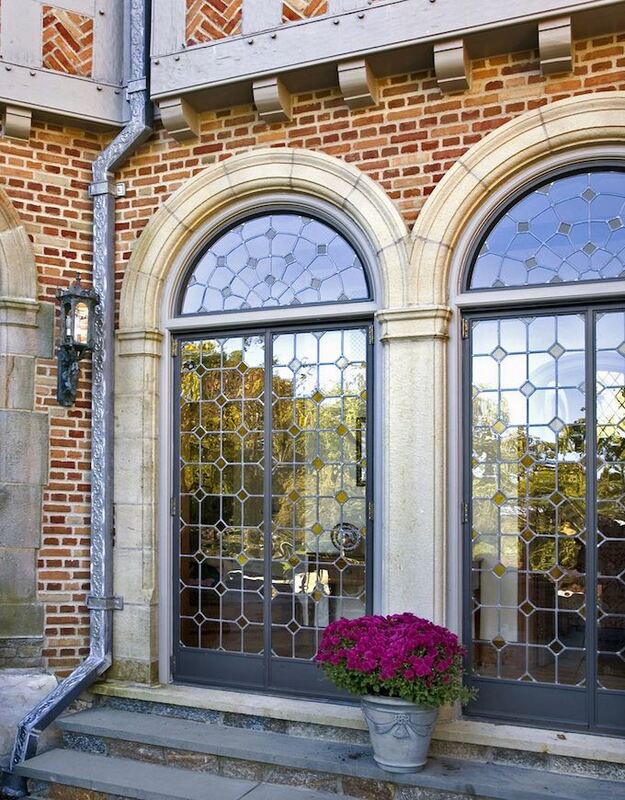 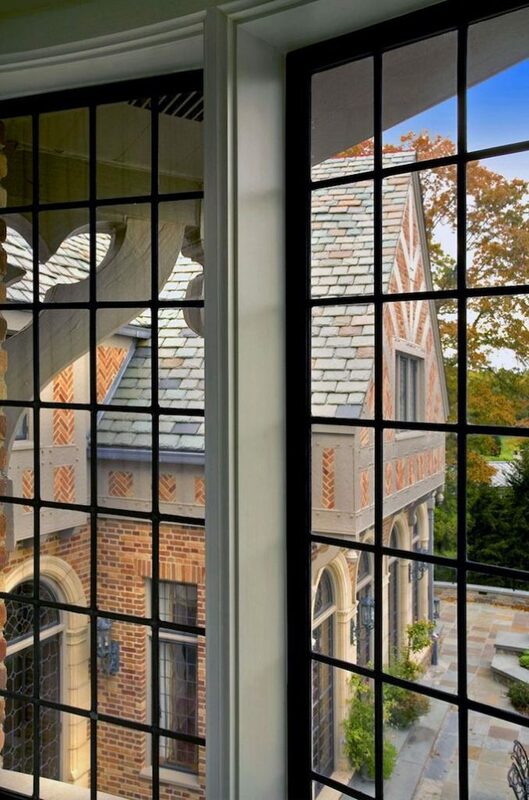 The leaded glass windows were rebuilt and replaced with existing reclaimed and modified panes. 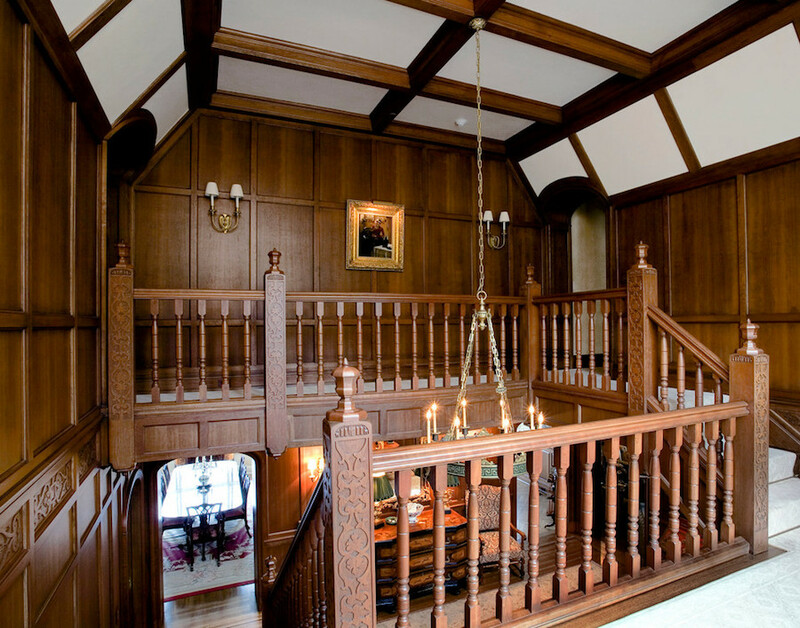 All the timbers were rebuilt and carved to match the existing home, along with the wooden pegs. 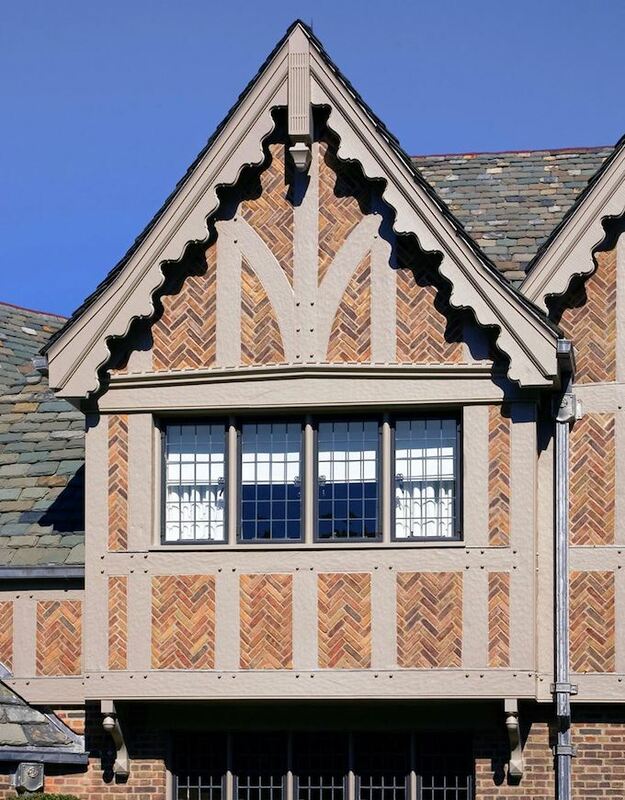 The roof was redone with Antique Slate and and copper gutters with patterns imprinted to match the existing antique ones. 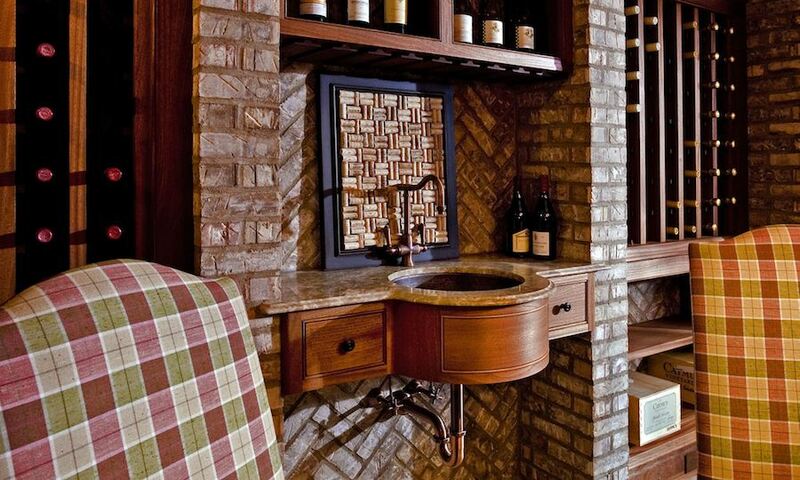 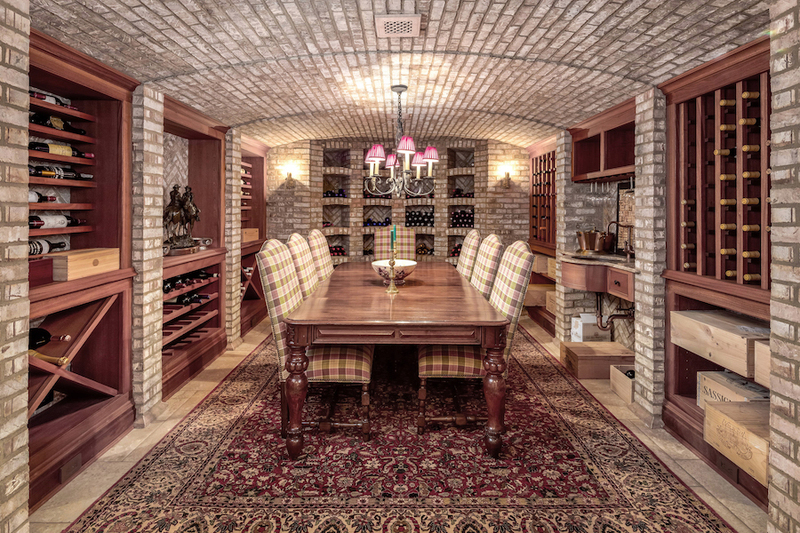 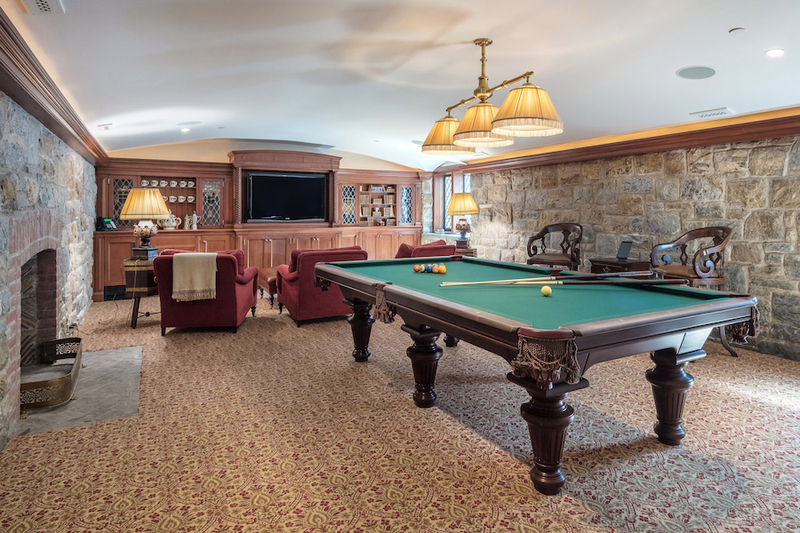 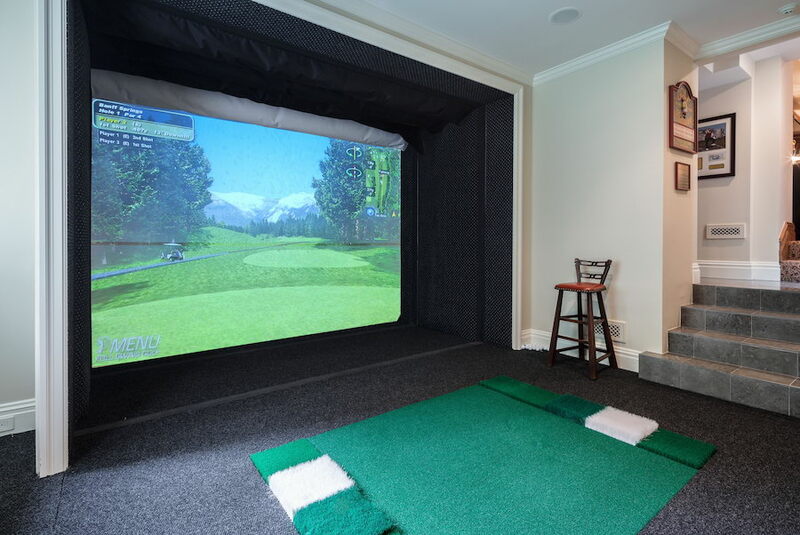 The lower level includes a wine cellar, billiards room and golf simulator. 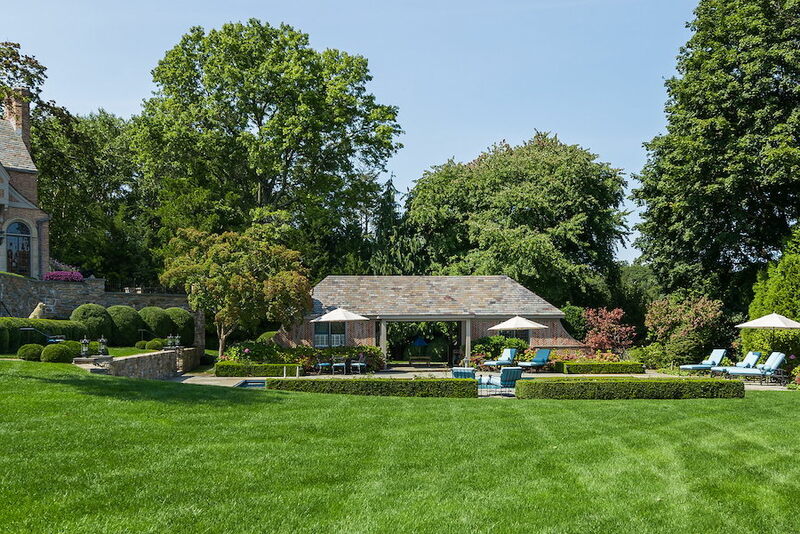 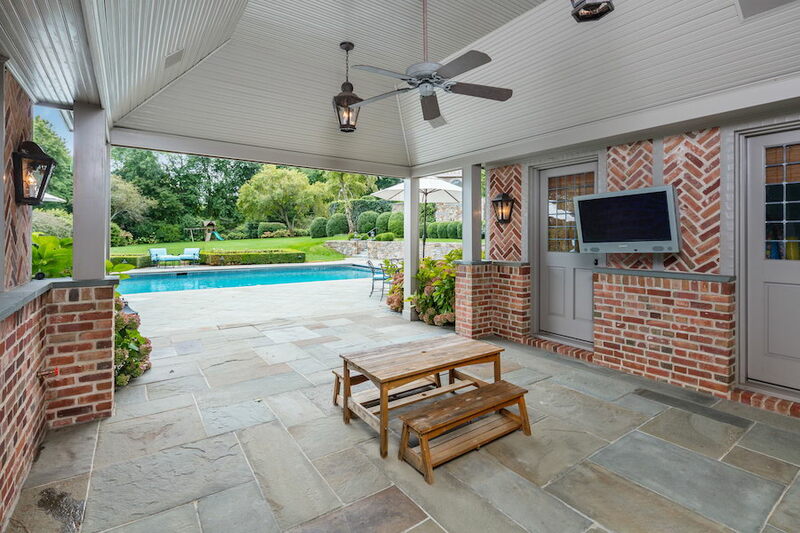 Enjoy a swimming pool, two pavilions joined by a pergola, level lawns and extensive landscaping on the 2.09 acre property. 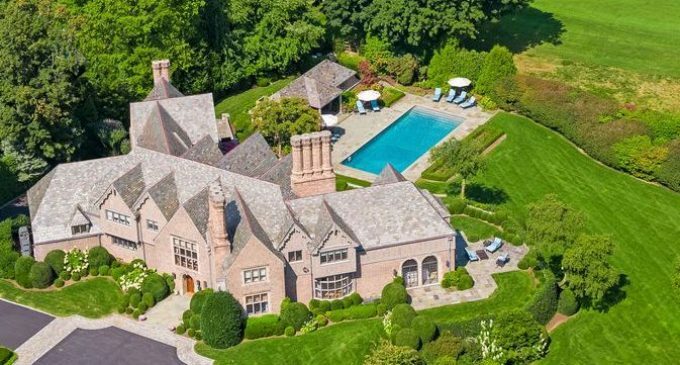 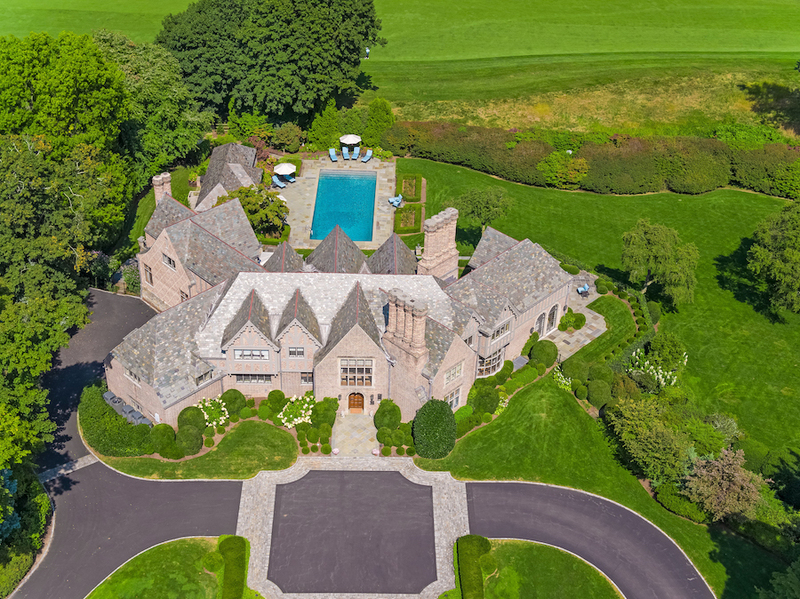 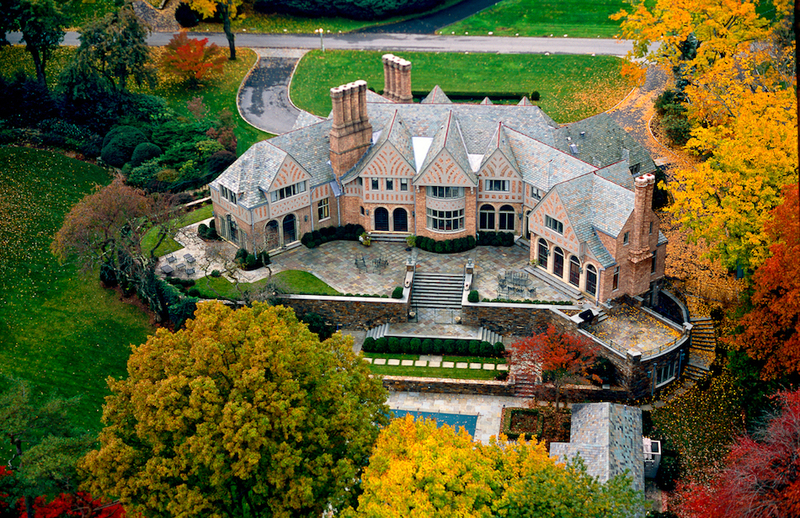 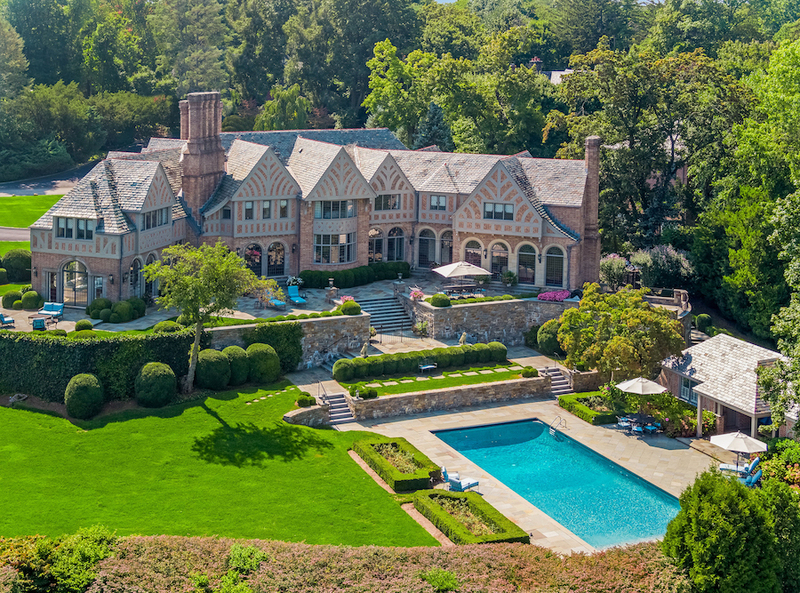 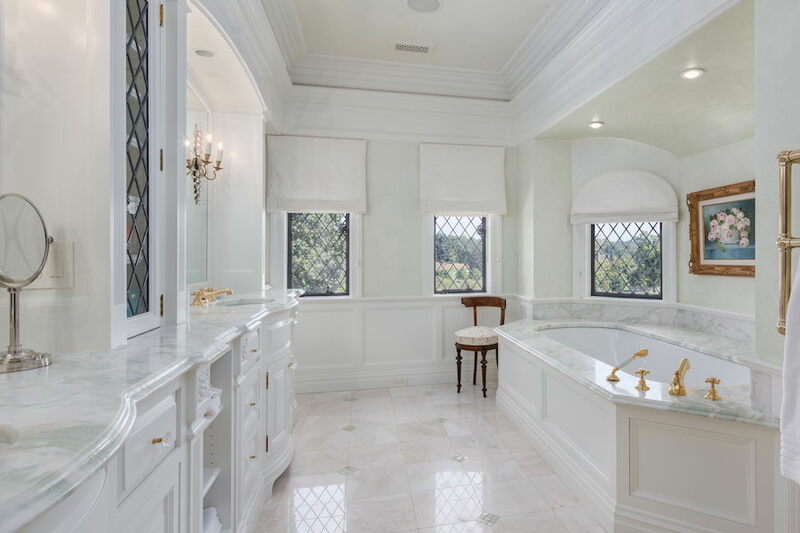 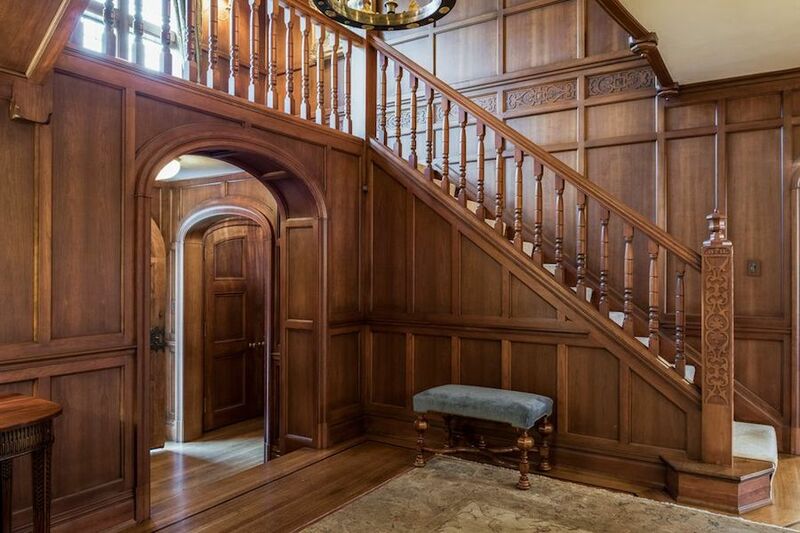 It’s on the market for $7,995,000 with Michael Mccooey.